Fights are usual in a relationship and some of those fights can even tighten the bond in a relationship. A gift is a better way to say sorry than a mere sorry. A thoughtful sorry gift is an amazing way to say you are truly sorry and than a mechanical and automatic " I am sorry". Here are some thoughtful gift ideas to say sorry to Her. 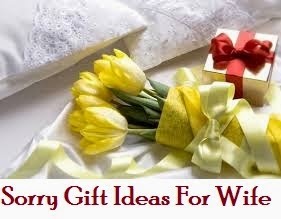 Read on to find the perfect "I am Sorry Gifts Ideas "for your Girlfriend or Wife. 1. A pack of nuts: Nuts are great and is a real healthy treat. Get a pack of her favourite nuts and write a note " I'm sorry that I drove you nuts." Try roasting the nuts with her favourite spices and make a pack of nuts of your own. A handmade one means more than a readily packet store bought gift. 2. 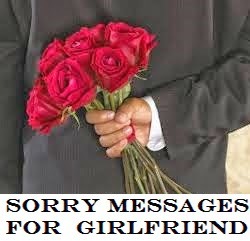 Ice creams: Sorry gifts need not cost much and most ladies would love ice-creams. Turn her like into a gift to say sorry. But her favourite ice cream and write a cute note as " I'm sorry that I really drove you nuts. I have cooled down and I am sorry for .........(Specify the reason)." 3. Cereal coated caramel apples: Apples are great as a snack and great when coated with cereals. Get a caramel coated apple with cereal and add a funny note as " I am cereaously sorry for hurting this ................."
4.Chocolates: Get a small pack of Hershey's or other cute chocolates and stick on a note to say " I am sorry for.... Take a break. Enjoy my special chocolate for you and I love you today and forever." 5. Invitation for dinner: SMS a message to say you are sorry and add on a favourite picture with a note to say " Inviting you for dinner at......(Location, place, date and time)." 6. Gift Basket: Get a gift basket with the spouse's favourite things. Things could be a mix of office stationary, household and beauty products. 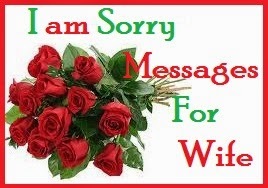 Print out a sorry message card and write a personal sorry message for your wife. This thoughtful gift will sure bring a smile on her face. 7. Viber message: Make use of technology to creatively say I 'm sorry. Send an "I am Sorry" sticker via Viber and then send an image of the gift pack that you bought for her. Any gift or any note from the bottom of your heart will be appreciated by a wife. 8. Jigsaw puzzle: Make a jigsaw puzzle with an " I am sorry" message. Mix the pieces up and leave on the table with a flower and a note that says " Sorry for ....."
Magic words as "I am sorry" with a gift of her choice will surely melt her heart. All gifts must reinforce that you are sorry for being stubborn and for not giving up. Last but not the least, you must tell your wife that you love her every now and then! .